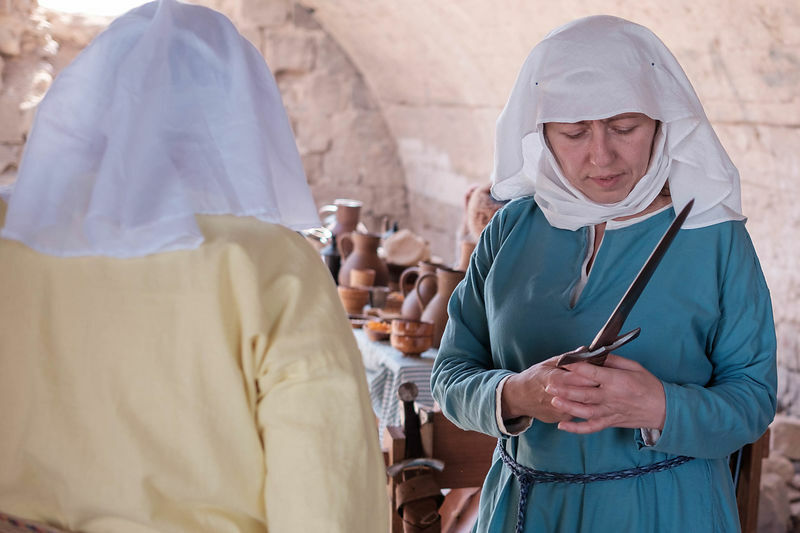 Yaniv Nadav Photography | History enthusiasts dressed in costumes sit next to a table during an event to relive the experiences of pilgrims who travelled to Jerusalem during medieval times, March 11, 2016. 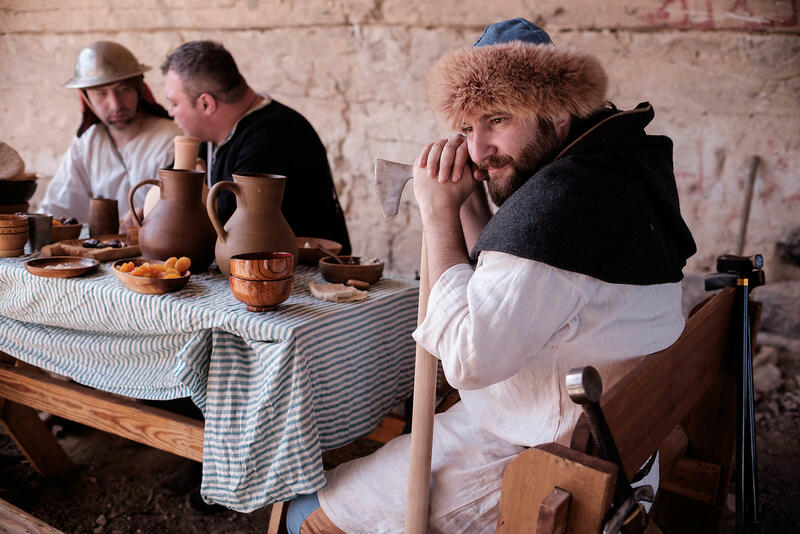 History enthusiasts dressed in costumes sit next to a table during an event to relive the experiences of pilgrims who travelled to Jerusalem during medieval times, March 11, 2016. 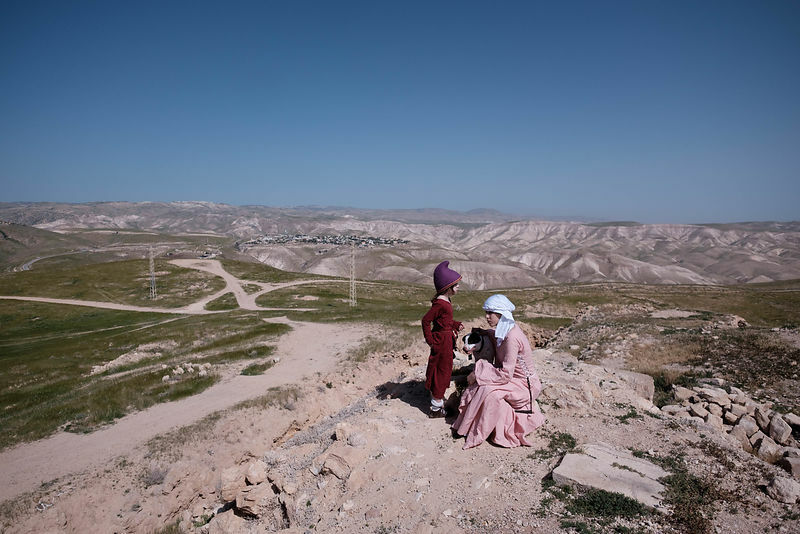 Israeli enthusiasts walk in the Jordan valley near Jericho as they take part in a three day walk between the West Bank city of Jericho and Jerusalem, on March 11, 2016.